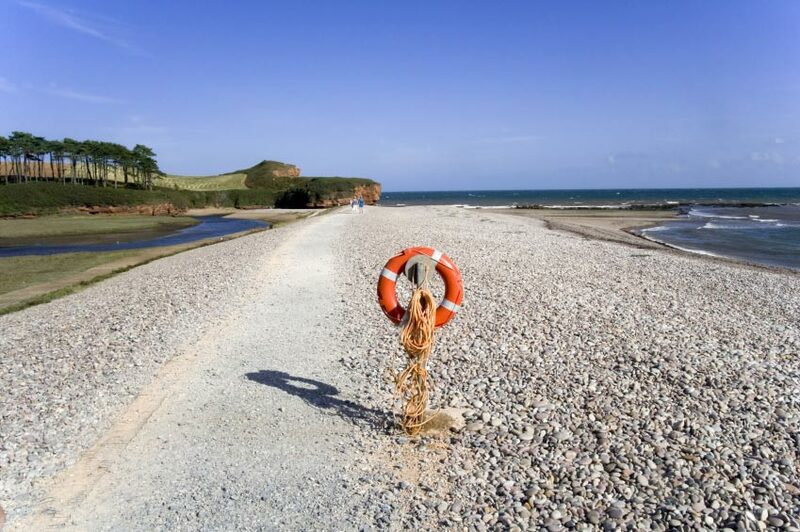 Budleigh Salterton offers a quiet and relaxing holiday, with unrivalled views of the dramatic East Devon coastline with its wonderful red sandstone cliffs. It is a beautiful town made famous by celebrities such as Noel Coward and the writer P.G. Woodhouse. A small stream flows past some of the quaint town houses on High Street and slab bridges provide access to some of the buildings. Many of the elegant buildings are Georgian and Regency. There are many excellent shops, restaurants and cafés. Marine Parade is a lovely undemanding walk towards the River Otter. The pebble beach offers excellent bathing for strong swimmers and there are rock pools at the end of the long beach nearest the flat river banks. The pebbles themselves are popular as holiday souvenirs! There is plenty to do including golf, bowls and croquet. The town’s pubs also offer food. The Fairlynch Museum, a thatched cottage in the middle of town has exhibitions on local history, natural history, costume, lace among other items. In 1870 the well-known painting the boyhood of Sir Walter Raleigh by the Victorian artist Millais was painted just across the road on the sea front by an ancient wall which is still there. Raleigh himself was born at East Budleigh, a few miles away. 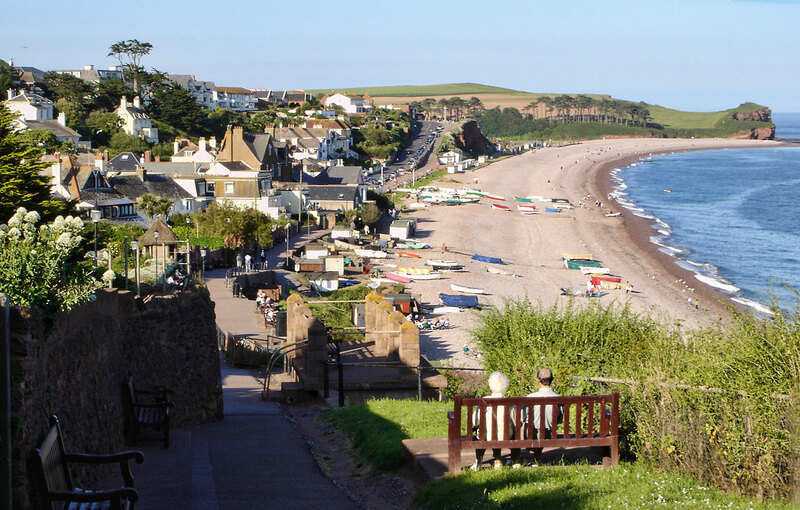 A climb up the sandstone cliffs is rewarded with outstanding views of Budleigh itself and across Lyme Bay. It is possible to walk further along the coast to Sandy Bay and on to Orcombe Point in Exmouth along a path with beautiful views. Dark Lane a narrow, tree-lined lane is worth visiting. It has a mystical air to it when seen in winter – the trees arch completely over the road from the top of the red stone and sandy covered small cliffs. It is a popular walk to and from Knowle Village. But please take care as there are occasional land slips here.